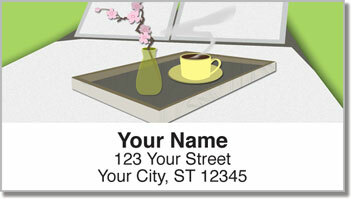 These return address labels are a tribute to those charming little places where you can enjoy the warmth of home away from your actual home. Bed and Breakfasts can be quaint yet also elegant. Why stay in a bland hotel room when you can find somewhere unique and comfortable to rest your weary head? 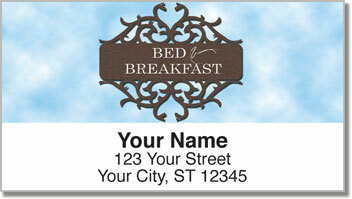 Bed & Breakfast Address Labels from CheckAdvantage are an excellent choice for owners of these picturesque establishments, or anyone who loves the appeal of lodging that is anything but lackluster. 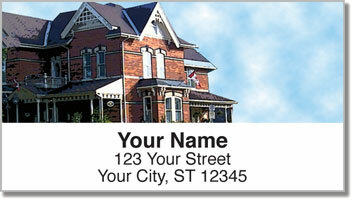 These convenient labels are self-adhesive, which means preparing your outgoing mail is going to get much easier! Just stick them on every envelope and complete a routine task in no time! 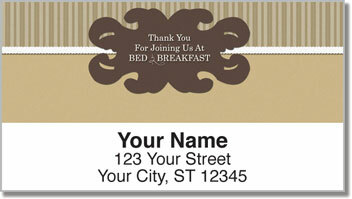 Order you own Bed & Breakfast Address Labels right now! This design is also available in matching checks!